Now it’s easy to get your favorite photos off of your phone and onto your wall. FreePrints Photo Tiles are one-of-a-kind lightweight panels that easily stick to walls with no need for a hammer and nails. And they unstick just as easily, which means you can move them anywhere you like. 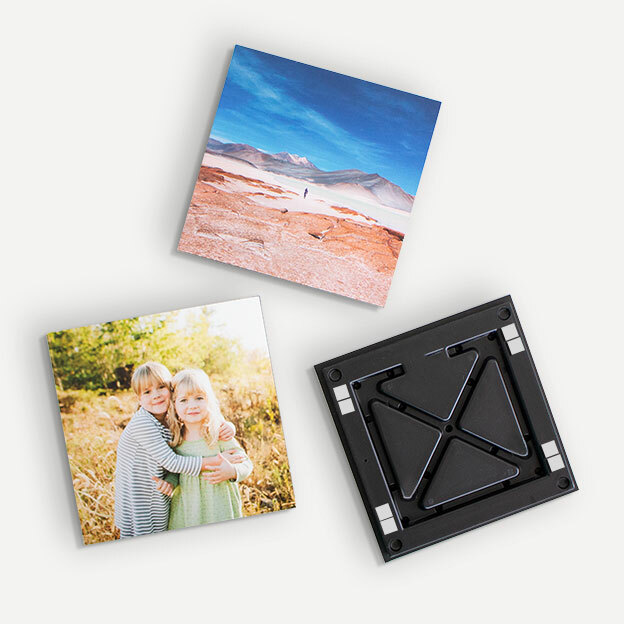 FreePrints Photo Tiles are custom manufactured with state-of-the-art digital printing and a durable patent-pending plastic mounting made entirely in the USA. And they’re guaranteed for life! 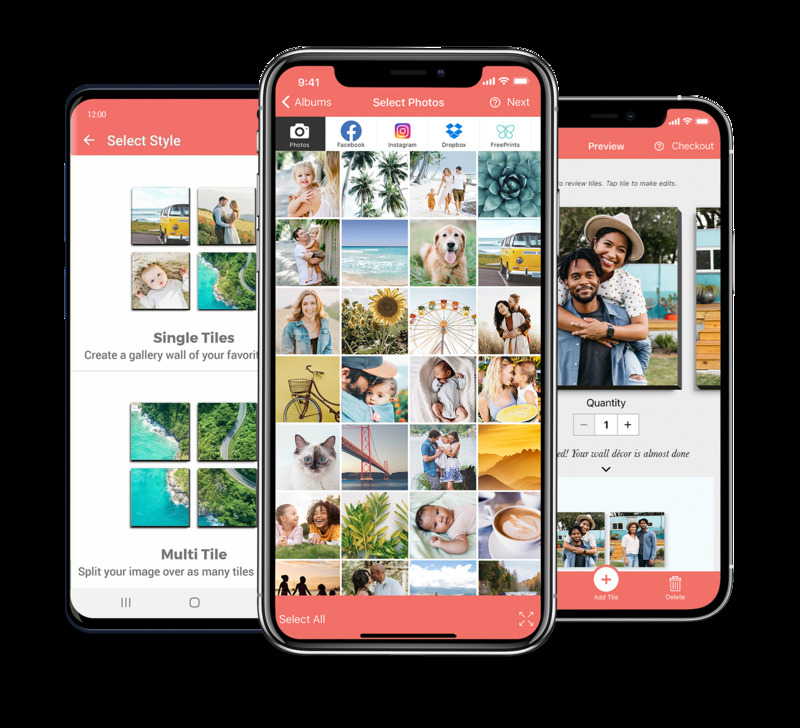 How Does the FreePrints Photo Tiles App Work? 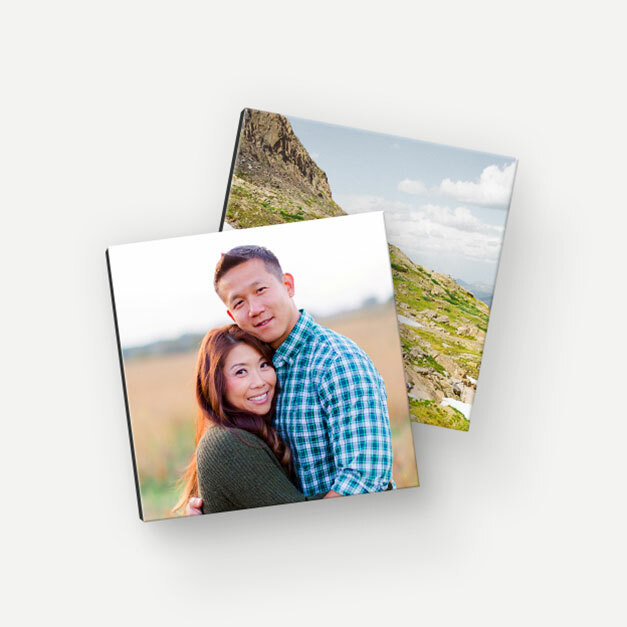 Making your FreePrints Photo Tiles is fun, easy and very affordable. Just select a set of photos from your phone or from Facebook or Instagram, and you’re done. 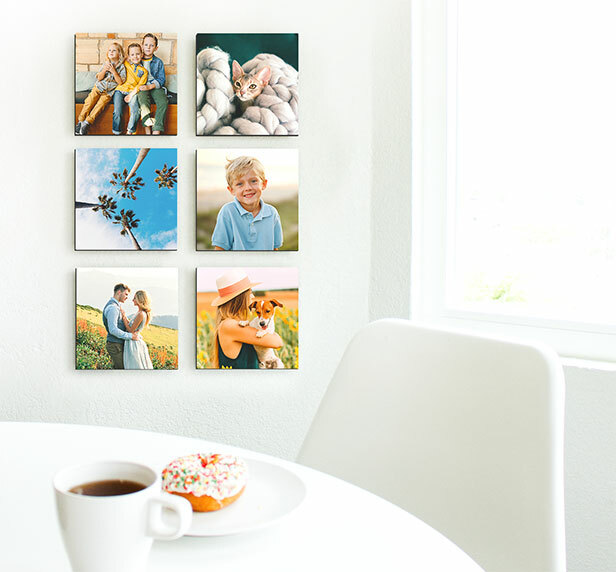 FreePrints Photo Tiles are one-of-a-kind and bring punch and personality to any wall in your home or office. And best of all, you get one free photo tile every month – with no subscriptions and no commitments. Just pay for shipping. That makes it easy to add to your tile collection as often as you like! 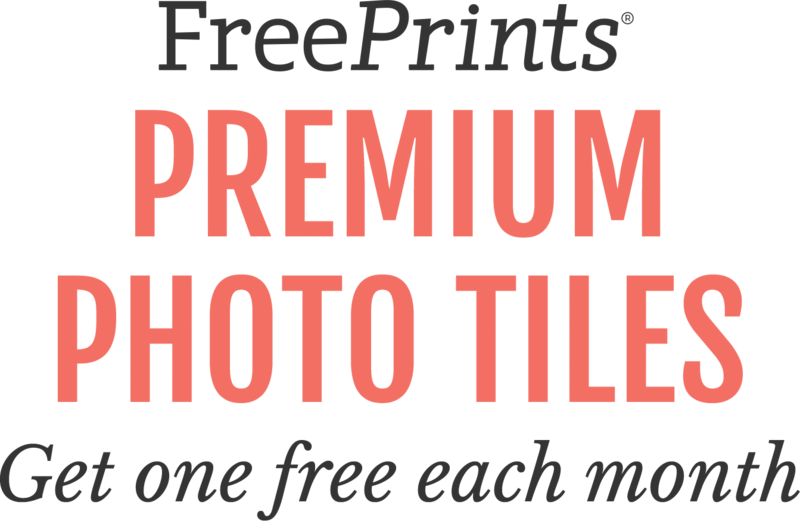 We know you are going to love your FreePrints Photo Tiles experience. But just in case … If within the first 30 days you are not completely satisfied with your order, we will be happy to provide a complete refund. We also provide a lifetime guarantee against defects. Other photo tiles are mounted onto foam core and often arrive in the mail dented and dinged. But FreePrints premium tiles are different. They arrive perfect and stay that way. We guarantee it or we will gladly provide you with a replacement of the same tile without charge.